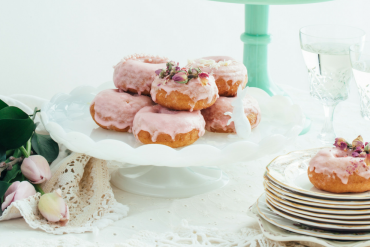 From clothes for the whole family to lactation cookies, free trials and family photography packages, here are some of the hottest deals that we’ve got lined up for you. 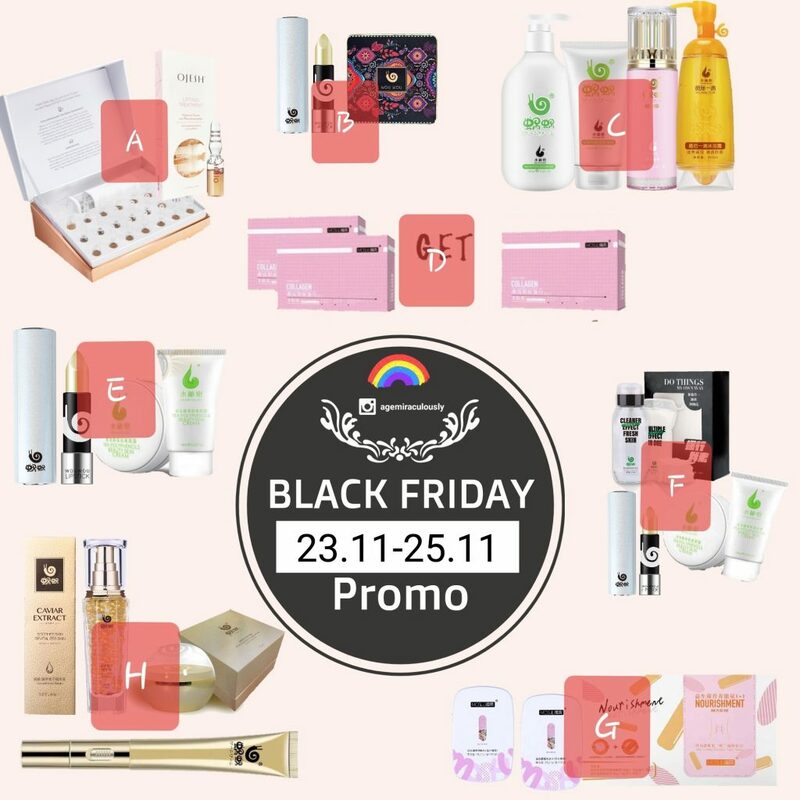 Age Miraculously is a one-stop online beauty emporium that specialises in natural-based beauty products for the hair, face and body. Its top selling products include the Wowo Hair Series that promotes hair growth, reduce hair fall and restore damaged hair, and the Wowo Moshu Nutrition Slimming Biscuits aims to promote digestion. Promotion: Get various beauty bundles at special rates; spend above $150 to receive free gifts. Expect fine quality, classic, contemporary and chic children’s clothing from both established and upcoming designers like Sonia Rykiel Enfant and Tutu Du Monde from around the world at Angelibebe. 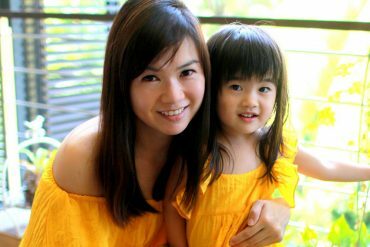 This online fashion retailer has great wardrobe picks for little fashionistas from six months to early teens. Promotion: Enjoy 30% off site-wide. Mechanics: Use the code ‘BLACK2018’ at checkout. The offer cannot be combined with other current offers and excludes new arrivals. 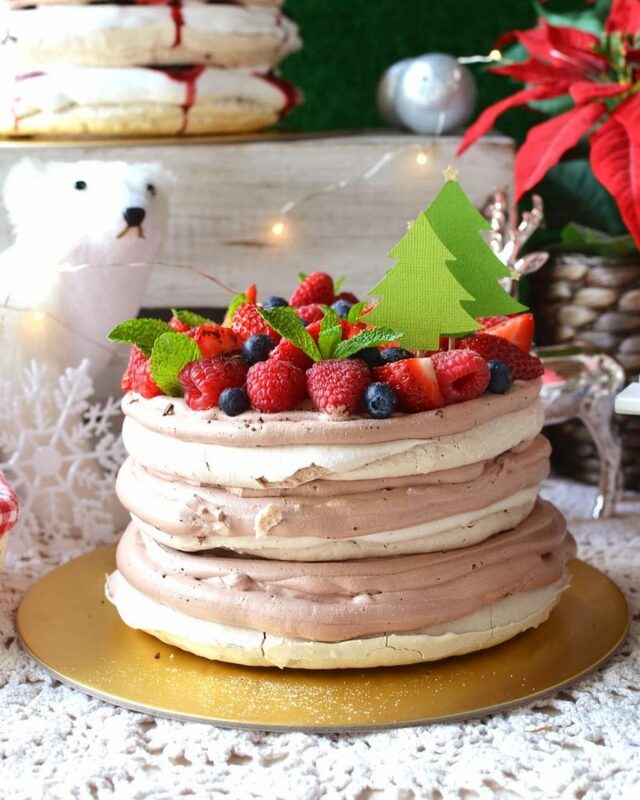 Specialising in bespoke cakes and fancy dessert tables, Little House of Dreams was the first bakery bistro in Singapore to offer customised dessert tables with lavish spread of sweet treats and table styling. 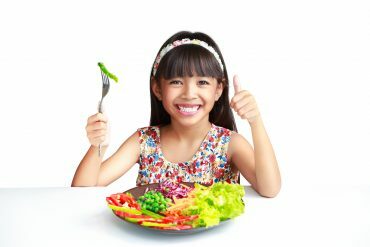 Bonus: We love the comprehensive menu selections offered at the bistro that include delicious savoury meals and whimsical dessert creations that tickle the palettes of kids and adults alike. Promotion: 15% discount off all whole cake orders, excluding custom cakes. Mechanics: Use the code ‘bfcake15’ during checkout. 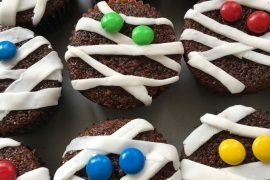 Only valid for whole cakes (excluding custom cakes). Not valid with other promotional discounts. 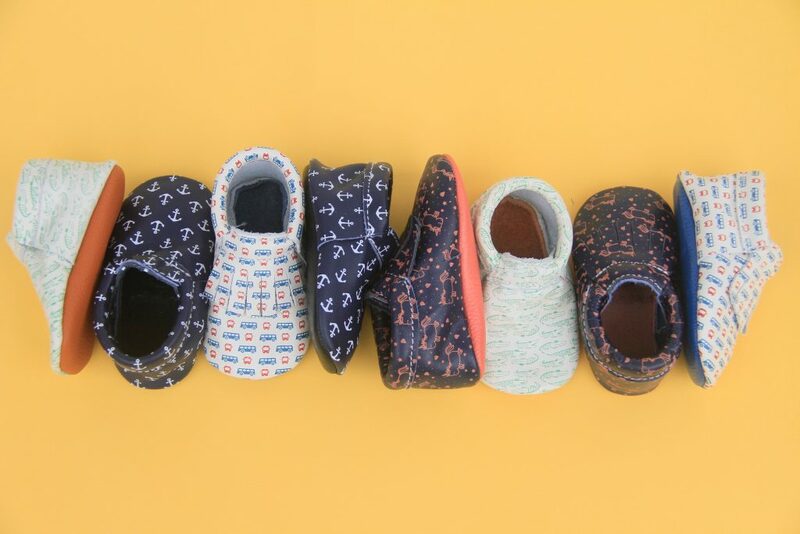 Mokksie’s signature moccasins are designed specially to support little ones’ growing feet as they learn to walk and run. Each pair is handmade from 100% genuine leather that provides natural stretch and breathability – ideal for hot, humid and cold weather. Promotion: $5 off all orders. Mechanics: Use the code ‘BF5SGD’ at checkout. Free shipping on all orders within Singapore. 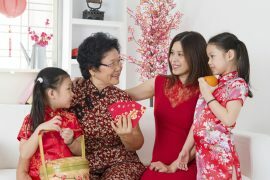 Mothercare has been in Singapore for 50 years, and is the world’s biggest and most trusted retail specialist for newborn and parenting products. 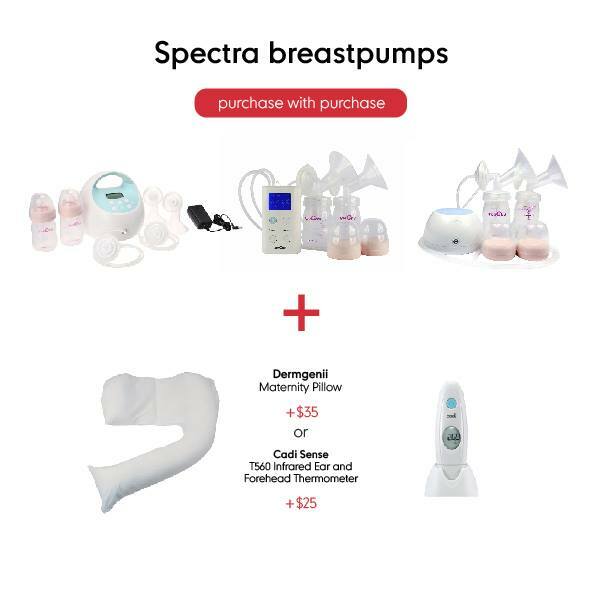 Purchase an M1 Double Electric Breastpump, S1 Double Electric Breastpump or S9 Plus Double Electric Breastpump and add on $25 for Cadisense T560 Infrared Ear and Forehead Thermometer (worth $96) or $35 for Dreamgenii Maternity Pillow (worth $165). 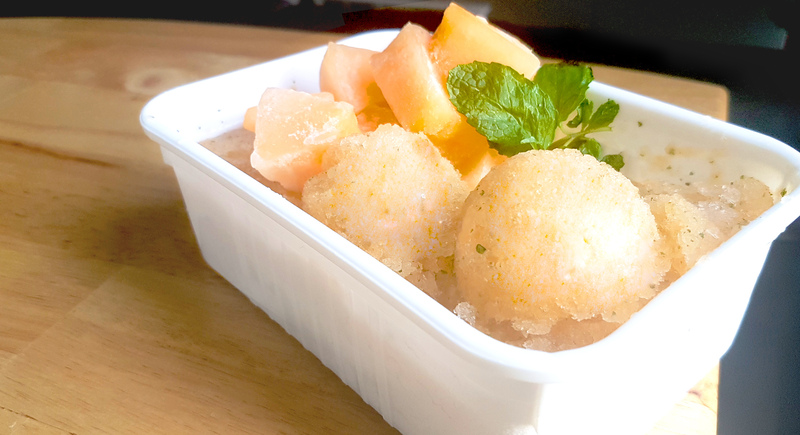 Purchase a Philips Avent 4-in-1 Healthy Baby Food Maker Bundle and get free gifts worth $50.70 ­– Assorted Happy Diapers in L, Tommee Tippee Explora 4 Pop Up Freezer Pots and Tommee Tippee Explora Cool and Mash Weaning Bowl. 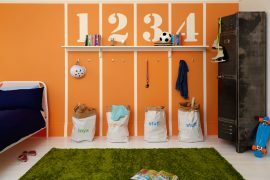 Back to School Bundle (Mothercare exclusive) featuring multiple brands for $79.90 – Jujube Minibe (assorted designs), Crayola Pencil Locker and Snapkis bottle (assorted designs). OETEO combines functionality with innovative designs, using the best quality yarns, materials and accessories for all products. Its signature zip and button-free rompers make for fuss-free outfits for babies. Each piece goes through rigorous tests, from creation of the design to selection of fabrics, to ensure that customers receive only the best. Ideal for folks with sensitive skin, Refresh Wellness Milk Shower Filters remove up to 99% of chlorine, heavy metals and other harmful substances from tap water. Certified by SGS Singapore, the filter also injects a dose of Vitamin C into the water, to better moisturise skin, strong hair and healthy nails. Promotion: Buy 2 for 5% off, 4 for 10% off and 6 for 15% off. 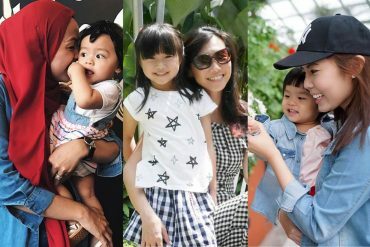 Bond with your baby through safe babywearing – Soul Singapore’s cloth carriers are ergonomically designed by experienced babywearers and tested for the strictest international standards. They’re made using 100% natural fiber textiles – premium linen and cotton that’s light and breathable – ensuring that baby is securely cradled, and both mother and child are always comfortable. 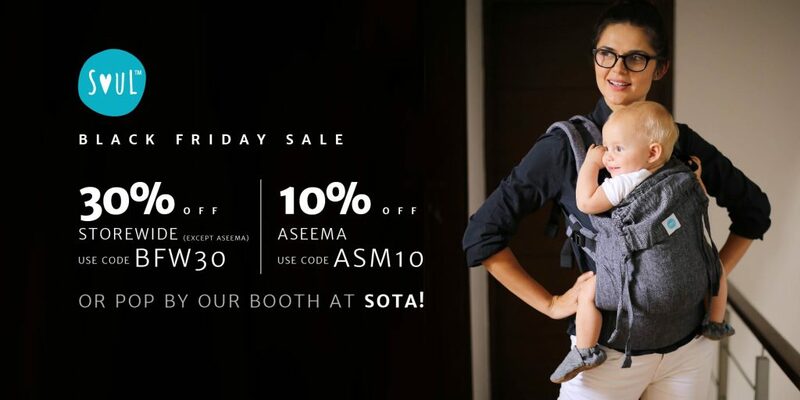 Promotion: 30% off storewide, excluding AseemA range, which is going at 10% off. Available online – https://sg.soulslings.com or at their booth at SOTA. Mechanics: Use BFW30 for 30% off storewide, ASM10 for 10% off AseemA at checkout. 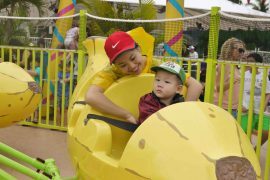 Multilabel website The Playroom offers affordable toys and books to enrich little ones’ early learning years. Little ones can immerse themselves in dress-up sensory play with Labebe Princess Dolls, which can help develop their motor skills, imagination and colour coordination while dressing up their dolls, exclusive only at The Playroom. Promotion: 30% off Labebe dolls. Mechanics: Use the code ‘TPRBLACK30’ at checkout. 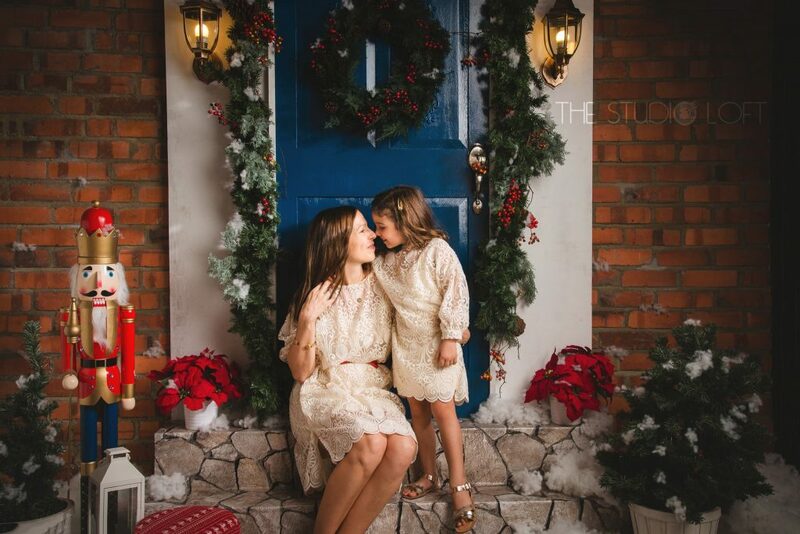 An all-woman team that specialises in newborn, pregnancy and family photography, The Studio Loft has a ‘Christmas at Home’ offer that comprises mini photography sessions in three beautiful home settings. Each 20-minute session includes immediate family members of four pax (two adults and two children; additional members are charged at $15 per pax), two outfit changes, and lightly edited digital files in 5R size. 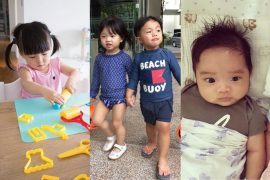 Bonus: They will throw in a free photography session for one child at the new Little Big Shots studio at Punggol Oasis Terraces. Promotion: Christmas mini session for $420 on weekdays and $450 on weekends. 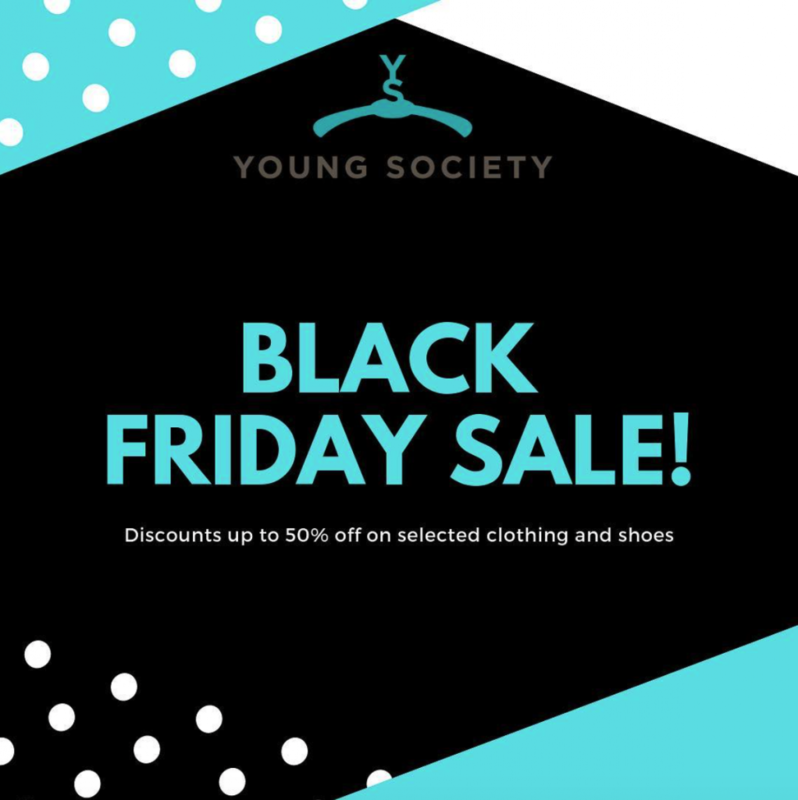 Young Society offers a curated selection of chic, minimalistic , affordable and well-designed outfits for kids up to the age of six. 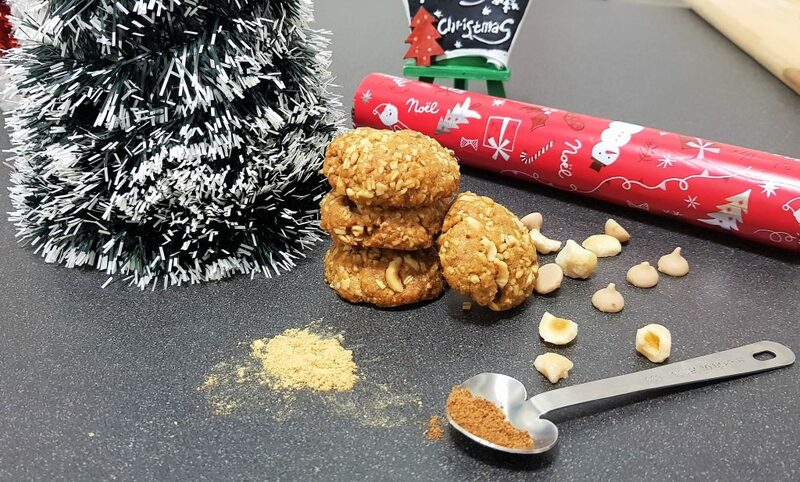 Yummies4Mummies aims to help new mummies in their breastfeeding journeys, with healthy snack options (no additives and preservatives) that also aid in increasing their milk supplies. Promotion: Free 125g of granola (flavour of customer’s choice) worth $9 with every purchase of 4 packs and above. Free delivery for purchases above $60. 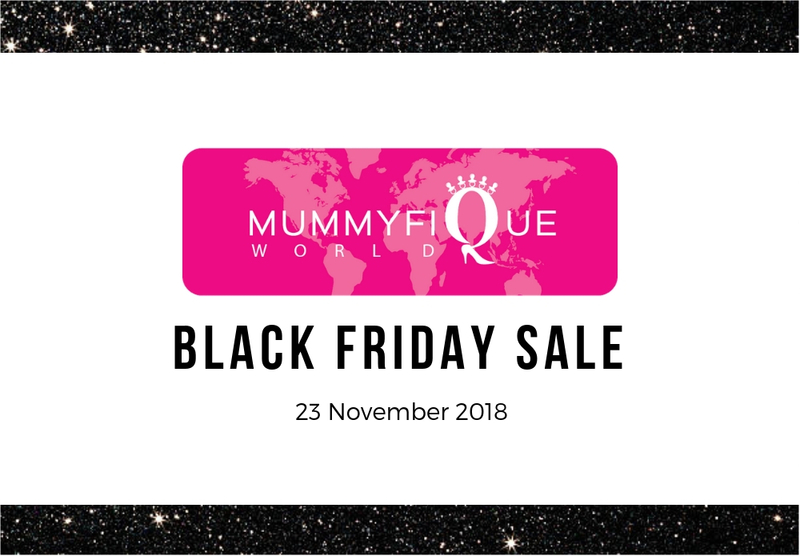 For more deals, download Mummyfique World on the App Store or Google Play now.